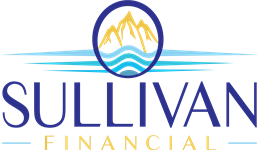 Education Planning | Sullivan Financial Services, Inc.
529 Education Savings Plans* can be a good solution for many families seeking to set aside funds for future college or other education expenses on a tax-deferred basis. * Prior to investing in a 529 Plan, investors should consider whether the investor's or the designated beneficiary's home state offers any state tax or other benefits that are only available in investments in such state's qualified tuition program. Withdrawals used for qualified expenses are generally tax free. Nonqualified withdrawals may result in federal income tax and a 10% federal tax penalty on earnings. Tax treatment at the state level may vary. Please consult with your tax advisor before investing.